Summer is just a few days away and the urge to stay every possible second outside starts to grow on us. The sun, the brise combined with friends, the loved one or even just by yourself, the parks are the best way to enjoy summer. To read a book, relax, enjoy a snack with friends (have you seen our post about summer wines?) or get a little sun tanned, big parks or little ones are the best option to get the best out of this much waited season. Luckily, London has many parks and gardens to enjoy the sun. Here is the top 5 parks not to be missed when spending the sunny days in the city. And if you don't have time to stay in the park, at least try to pass through them during the day. It is just worth it as the famous attractions. Hyde Park is one of the largest parks that London has to offer. 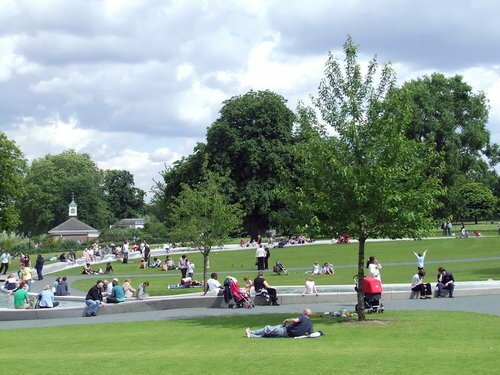 Located in central London, the park provides visitors a peaceful oasis from the busy pace of the city around them. Spanning 350 acres, the park has over 4,000 sprawling trees, decorative flower gardens, memorials and a large lake for recreational use. Hyde Park has something to do for everyone. Tourists and citizens alike can enjoy swimming in the lake, boating, tennis courts, horseback riding, cycling, plenty of room for team games (rugby, cricket, softball, etc.) and starting in November through January, spectators can enjoy ice skating in the park - we'll remind you of that in a few months! Hyde park is also home to many famous buildings and monuments, including the famous Peter Pan statue, Diana Memorial Fountain and the Serpentine Bridge. Regent’s Park, designed in 1811 by the renowned architect John Nash, is one of London’s most famous parks for residents and tourists alike offering a wide range of different activities for people to enjoy. One can roam the park’s 395 acres and explore Queen Mary’s Gardens that includes the stunning rose garden with over 30,000 roses and 400 different varieties. The park also has London’s largest outdoor sports area, with rugby, football, cricket, and softball. While families with young children or those who are just young at heart can easily fill up a day by going to the famous London Zoo located as well on the park’s grounds. Green Park is another one of the Royal Parks of London and provides a more peaceful and serene spot than its neighboring parks. Located in central London, in the City of Westminster, Green Park tends to be a particularly popular spot for sunbathers and picnickers. However, ironically this was not always the case, as it was once a famous royal dueling site until 1667. A unique feature that the park has to offer is that with the exception of the quarter-million daffodils that turn a spectacular vibrant yellow each spring, the park has no flowerbeds or shrubs. The tranquility that Green Park provides its visitors cannot be found in any other park in London. Holland Park - Our pick! Cheval Thorney Court is a few minutes from this park! 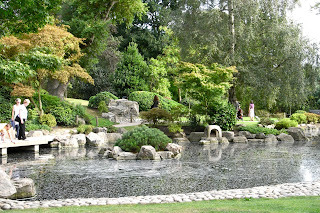 Holland Park is one of the smaller and less traveled parks that London has to offer, but has a reputation from being one of the most romantic and elegant parks of West London. Lush shrubbery, grassy knolls, wild ponds, beautiful Japanese Gardens and some of the city’s most expensive real estate surround the park. Beautiful Victorian townhouses, an abundance of popular high-class shopping destinations and quaint restaurant spots are scattered around the park. This London Park can’t help but be known as an affluent attraction. One will also find beautiful peacocks roaming the grass and surprisingly enough, an occasional pig or two (they are used to help clear some of the grounds)! Another cool feature that this park offers is an open-air theater that hosts operas during the summer! It provides a perfect activity to do on a summer night in London. St. James’s Park is the oldest of the capital’s eight Royal Parks and is located right in the very heart of London. Spanning over fifty-eight acres, this park is surrounded by some of London’s most iconic landmarks including Buckingham Palace to the West, The Mall and St. James’s Palace to the North, the Horse Guards to the east and Birdcage Walk to the South. More than five million tourists visit this park annually to take in the beautiful regal architecture. St. James’s Park is a great place to go explore, have a picnic and take pictures of some of London’s most scenic views (look for Big Ben and the London Eye Ferris wheel).